BREATHTAKING DOWNTOWN and NORTH VIEWS. 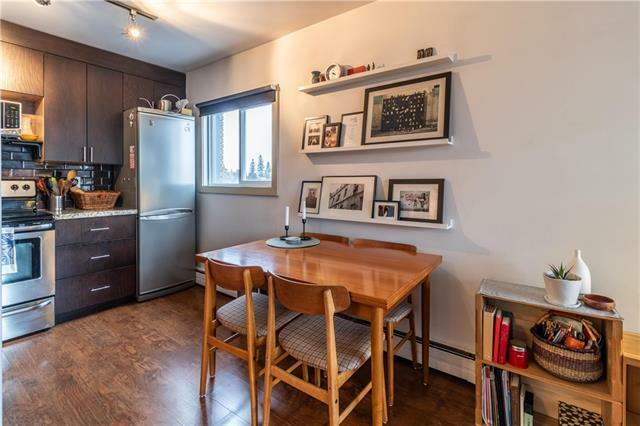 Welcome to an updated, well appointed one bedroom Bankview condo with underground parking and storage in a solid building. Located in a concrete building, this unit offers an open main living area and a covered balcony with downtown views. 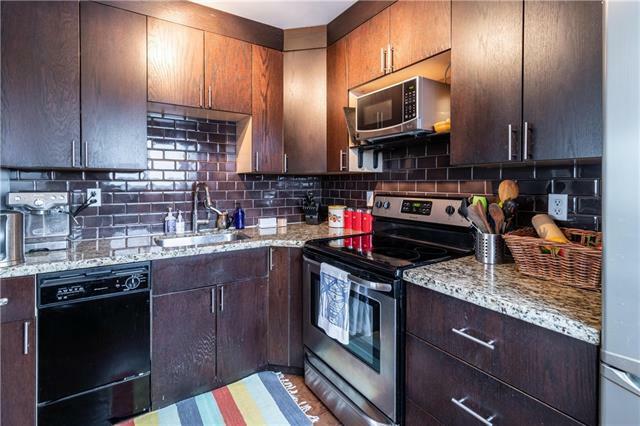 The stylishly renovated kitchen features granite counters, subway tile backsplash, and a stainless steel stove, microwave, and refrigerator. The full bath showcases a modern raised-basin vanity, and insuite laundry houses a single combo unit with storage shelving. 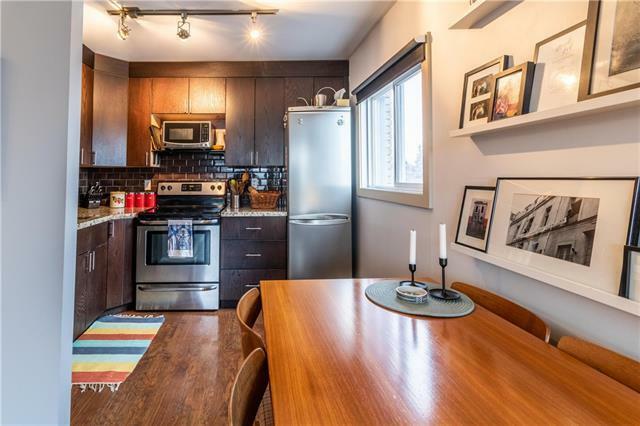 Near 17th Ave amenities, don't miss out on this great inner-city condo - call to arrange your private viewing today!